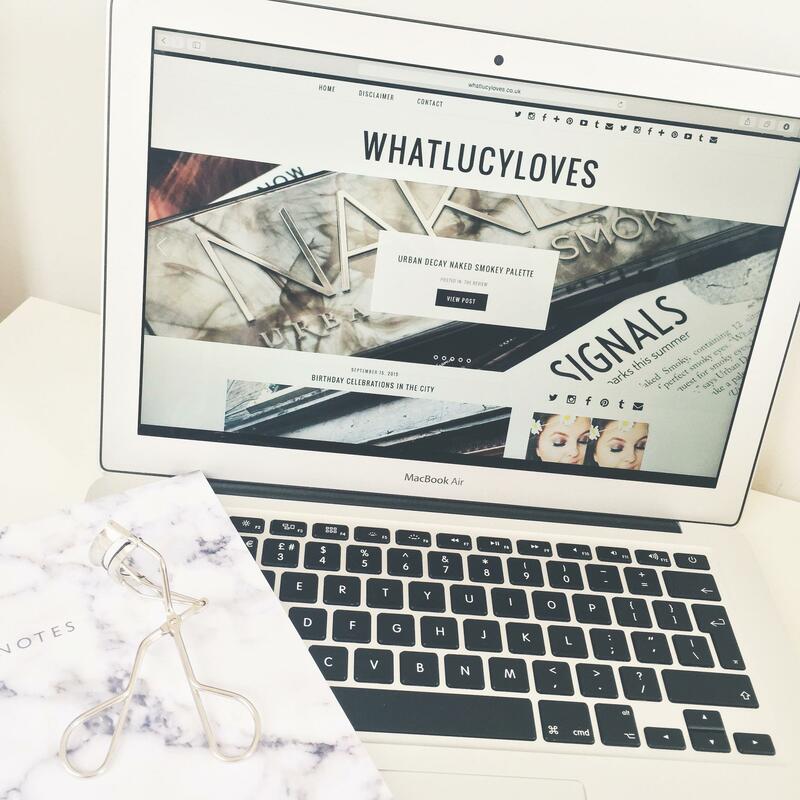 Welcome to the new What Lucy Loves, I am so excited to officially relaunch the new site. I have had my blog for 2 and a half years now and I have been thinking of giving it a make over for a while. It has taken me a long time to finally put the new blog live because I wanted it to be perfect and just the way I imagined it to be. I am still adding bits here and there but I am really happy with the finished look. My blog template is from Pipdig, they have a wide range of gorgeous templates for blogger and WordPress blogs, so if you’re thinking of redesigning your blog I recommend checking out Pipdig. Another change is that I have moved my blog from blogger to WordPress. I might do a full post on this soon if you’re interested in the process and what I think of the new site. Of course I couldn’t have done this all by myself, my amazing dad who is a computer genius has spent so much time getting my blog ready and moving everything across to WordPress. I can’t be more grateful for the time and effort he has put into What Lucy Loves. Thanks dad. I wanted this blog to appear more professional and sleek, I want to start incorporating my makeup work onto this blog, therefore I wanted it to be presentable and elegant. I am also going to be improving the quality and style of my photographs and the new site has given me more inspiration and a space for my images to breathe and be shown. Please feel free to have a snoop around the new site and I would of course love to hear your thoughts.